Jet Skis are just as dangerous as they are fun! At the Zappitell Law Firm our attorneys are committed to advocating for the rights of those who have had their lives permanently changed due to the negligent actions of personal watercraft and Jet Ski drivers. 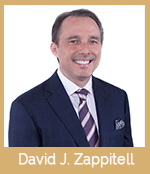 Since 1992, founder David J. Zappitell and the rest of our team at Zappitell Law Firm have successfully helped victims of Jet Ski accidents in Delray Beach, Boca Raton, Boynton Beach, and throughout Florida. We can explain how Jet Ski cases are often far more complex than your typical vehicle collision. It is not merely about a reckless or negligent driver, the case may involve a driver who was speeding, failed to look ahead, did not understand water conditions, partook in alcohol or drug use, failed to follow safety laws, or had insufficient instruction on how to properly operate a personal watercraft or Jet Ski. We believe in holding all responsible parties accountable for the injuries they have caused our clients and their loved ones. When you consult our firm, our Delray Beach personal injury team member will work closely with you to explain what Florida law protects you and offers compensation for your loss or damages. Our firm routinely handles personal watercraft and Jet Ski cases involving collisions, unsafe operation, speeding, negligent supervision and entrustment, and drugs & alcohol. If you or a loved one has been a victim of a watercraft or Jet Ski accident, call us first and don’t give up until every remedy has been considered. 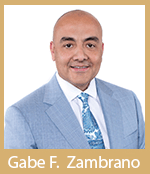 We care about your best interests and your well-being. If you decide to pursue a Jet Ski accident insurance claim, we will work to build a thorough case for you or on your loved ones’ behalf. We invite you to contact Zappitell Law Firm at (561) 330-6330 to schedule a free consultation to discuss your personal watercraft or Jet Ski accident injuries. We are available to help you 24/7. Evening and weekend appointments are available upon request. Spanish language services are available. 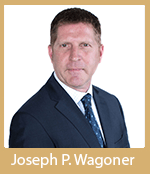 Our personal injury cases are accepted on a contingency fee basis: There is no fee unless we recover damages for you.